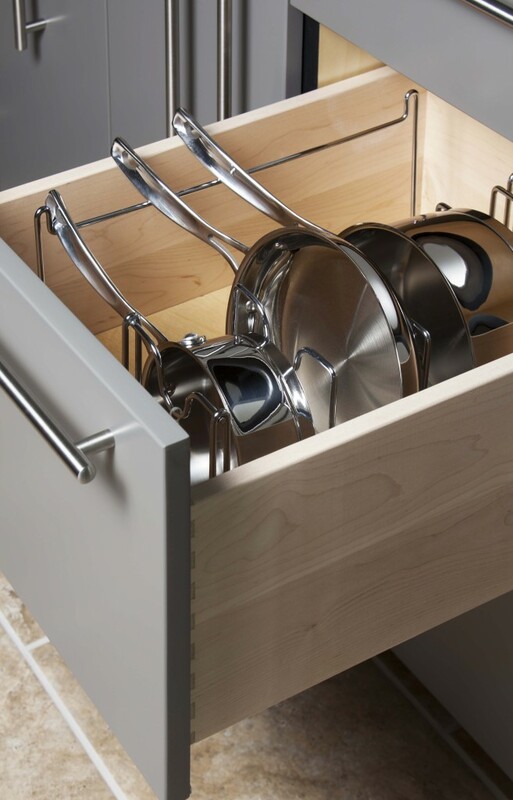 Storage is a challenge in most homes, regardless of size. At Siteline, we offer an expansive array of interior accessories to optimize your new space. From storing utensils, to pots and lids, to your cell phone, tablet and more, we provide you with choices to make your space a perfect fit. 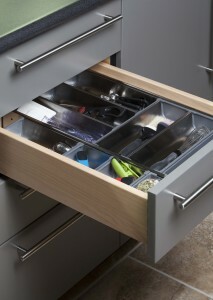 See your authorized Siteline dealer for more storage solutions. 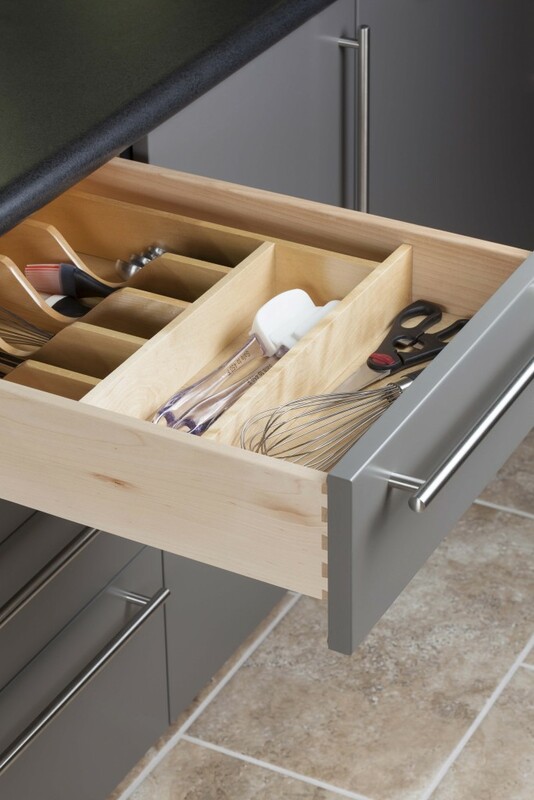 Store frequently used cooking utensils in this wood silverware divider drawer. Everything where you need it most. Store more conveniently with these office drawer dividers. Everything where you need it, when you need it. Store more in our deep drawers. 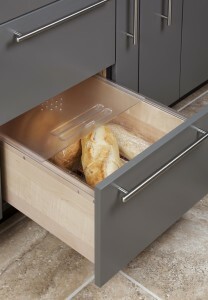 Breads and root veggies can be stored separately in this ventilated, slide-top storage drawer. 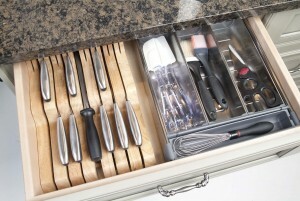 Store more in this pan deep drawer. 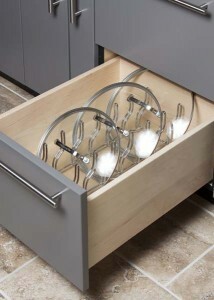 With wire dividers and handle rest. Store more lids. No more stacking on a shelf, and reaching into a cabinet to locate the right lid. Here they are, stored on angles for easy viewing. 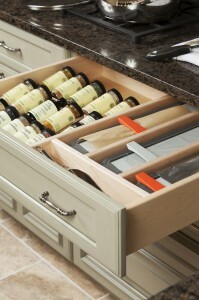 Store more spices in a pull-out cabinet. One of the hardest working small spaces in your kitchen. 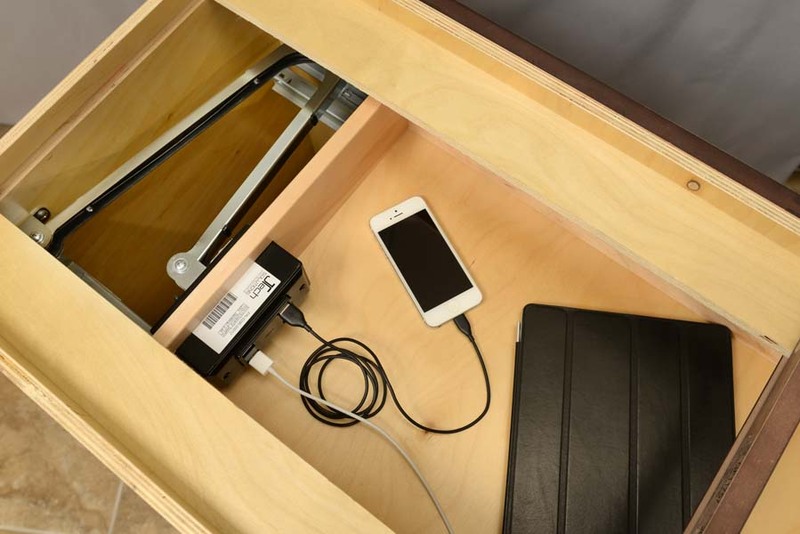 Store more with this charging station drawer. Ideal for all your devices. Store more with this hardworking knife and utensil drawer. 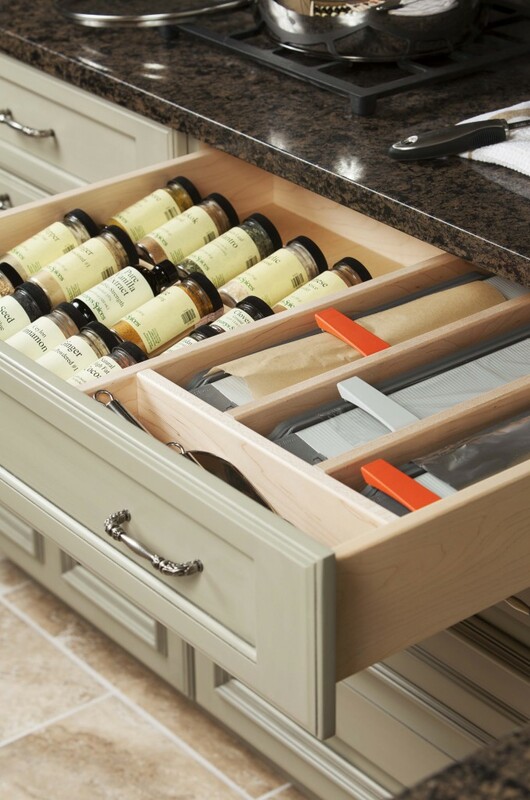 Perfect for handy food prep items. 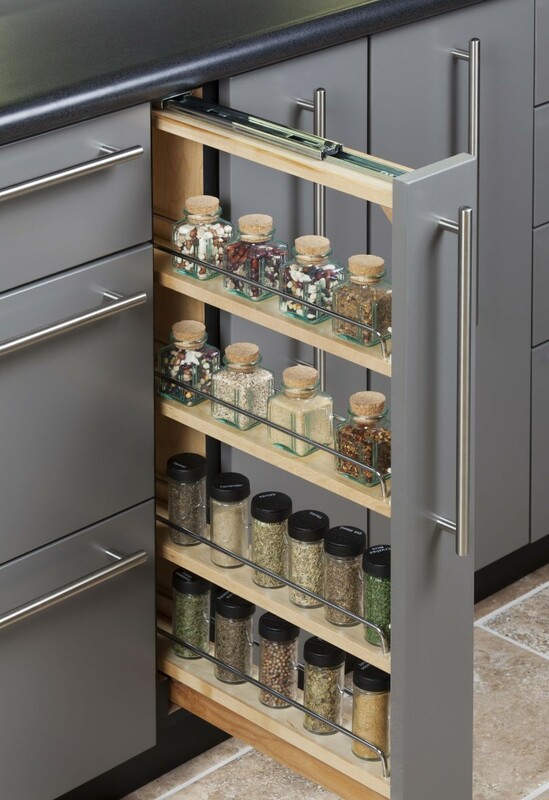 Store spices and wraps at your fingertips. Everything within reach.